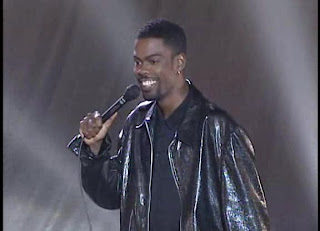 In his 1996 HBO Comedy special Bring the Pain, actor/comedian Chris Rock had a bit about the O.J. Simpson murder trial. In it, he backhandedly defends Simpson had be committed the murders, citing the alimony and the fact that Ron Goldman was driving Juice's Ferrari. Rock repeated the line, "Now I'm not saying he should've killed her...but I understand." So how is it possible to intertwine the most notorious murder trail of the 1990's to the St. Louis Cardinals? There is no real justification for it. One involved the deaths of two people, the threat of race riots in Los Angeles, and an LAPD conspiracy. The other is a team, playing just a game. It is not a matter of life or death. DISCLAIMER: I am using the Simpson story as a vehicle for comparison. What you are about to read is related more towards Rock's line than the murder itself. I'm covering my bases over here. I'm not trying to piss anybody off. With the exception of Ozzie Guillen of the ChiSox, there is no more controversial manager in baseball today than Tony LaRussa. Sure, Dusty Baker and his toothpick take up shop on the Reds' dugout steps. But it's been almost a decade since his nearly four-year-old son was rescued by J.T. Snow in the 2002 World Series. And yes, Jim Leyland still plays the part of the Motor City Marlboro Man, sending more smoke into the Detroit sky than the Ford plants could ever dream of. But for baseball reasons, LaRussa is That Guy. There isn't a whole lot of middle ground. You are either with him or against him. His fans crow about his eleven winning seasons in fourteen years with the Cardinals, making the playoffs in eight. He also isn't afraid to do anything for an insurance run, be it from a double steal, or trying to swipe third. And then there's his lists of accomplishments: 3rd in wins, 2nd in games managed, only manager to win multiple pennants in both leagues... you get the idea. Those against him are some of the most venomous people I have ever seen. No joke. LaHaters act like Tony rescues a puppy, nurses it back to health, and then drowns it in a metal tub in his basement, laughing maniacally. They say he screws up player's rhythms by sitting them for a favorable match-up on paper (2009 Ludwick is their favorite example). He ruins the integrity of the game by sending up Jeff Suppan in the eighth spot. And, of course, he is a champion for illicit behavior in baseball, in having the most infamous steroid-user on his coaching staff, a third baseman with a DUI on his record, and LaRussa himself with a 2007 DUI in Florida. I am on LaRussa's side. Let me rephrase that. I am more on his side than against him. I believe, overall, that he has been far more helpful to the team than hurtful. I look at the big picture, and what he has accomplished in his tenure by far outweighs what drives me up the wall. First, there is sitting the hot guy and playing the stats. Most recently, we saw Ryan Ludwick turn in 2-for-4 and 3-for-3 efforts, then get benched for Colby Rasmus. LaRussa has stats for everything imaginable, and for some that aren't. So if his notes say Ludwick is 1-for-12 against a certain pitcher, he makes the bet it won't improve today, so he sends up the future franchise cornerstone to get a shot; see if he can pick something up that will set him up beautifully at a later time. Personally, I dislike the move. I am a firm believer in momentum. Ludwick is 5 for his last 7. He deserves a shot to improve against this guy. But numbers do not lie, not to a guy like Tony. So Rasmus gets two or three cuts, and the 2008 All-Star sits next to Jason LaRue, discussing the finer points of the Fu Man Chu. Now I'm not saying he should've played Ludwick...but I understand. Then there is batting the pitcher eighth. The first time I remember seeing this was in the dying months of 2007. I went to my roommate Dan's room and asked him what the hell was going on? He looked at me and said one word, "Tony." I didn't get it. But it appeared Tony knew what he was doing. While batting the pitcher eighth, the Cards scored more runs per game (4.64 to 4.34). Pitchers hit 19 points higher (.191 to .210) and the nine spot improved their slugging percentage by 50 points (.338 to .388). Now, in this scenario, it can very easily backfire on you. Maybe you get bases loaded and, batting eighth is...Kip Wells? Well, he couldn't be any worse at the plate than he was on the bump. But again, the end justified the means. Now I'm not saying he should've let Yadi hit eighth where he belongs...but I understand. Finally, there is the ethics factor. People who love to bash on LaRussa (read: Slaten, Kevin) say that he enables cheating in baseball, and should be banished from baseball with all the other cheaters, never to return. Guilt by association. Do you realize that in 2010, the Cardinals will have admitted user Mark McGwire, past user Ryan Franklin, alcoholic David Freese, and mega-alcoholic Tony LaRussa being introduced at the home opener? My God. This is the argument that impresses me the least. LaRussa doesn't condone cheating, and he certainly doesn't encourage players to get wasted and cruise around South County. Freese and LaRussa both went through a program, Franklin has moved on, and McGwire is ready to start a new chapter of his life. One thing I appreciate about LaRussa is that he is fiercely loyal. To think he was going to throw his good friend under the bus is ridiculous. He protected McGwire because he cares about him. Like a good friend would do. When the teacher asks you who threw the spitball at the board, are you going to point to your best friend? Mikey did it Mrs. Allen. You look out for people you care about. It won't go over very well, but friendship bonds aren't broken that easily. Now I'm not saying McGwire was the best choice...but I understand. If you want to knock LaRussa, do it for the obvious choice: The man wears sunglasses at night. After all, the man is no Corey Hart. I think you missed the essence of his punch-line on your first two parodies. He is saying he's not condoning what was done, but understands how he could. You should have ended 'Now I'm not saying he should have sat Ludwick, hit Kip Wells 9th" respectively.